If you look at my other projects, you will notice that I have made a 'tea cup necklace.' When I bought the tea cup, it was accompanied by a little saucer, so thats how I thought of this project. Hope you like it!!! ... Get your dolls house plate, sand the back down a little so it is flatter,(if you need to) Then add a generous amount of glue to the plate. Arrange the Donuts however you like. When the glue has dried, glue the plate to the ring back. Wait for the glue to dry, then you can wear it!! so cute. 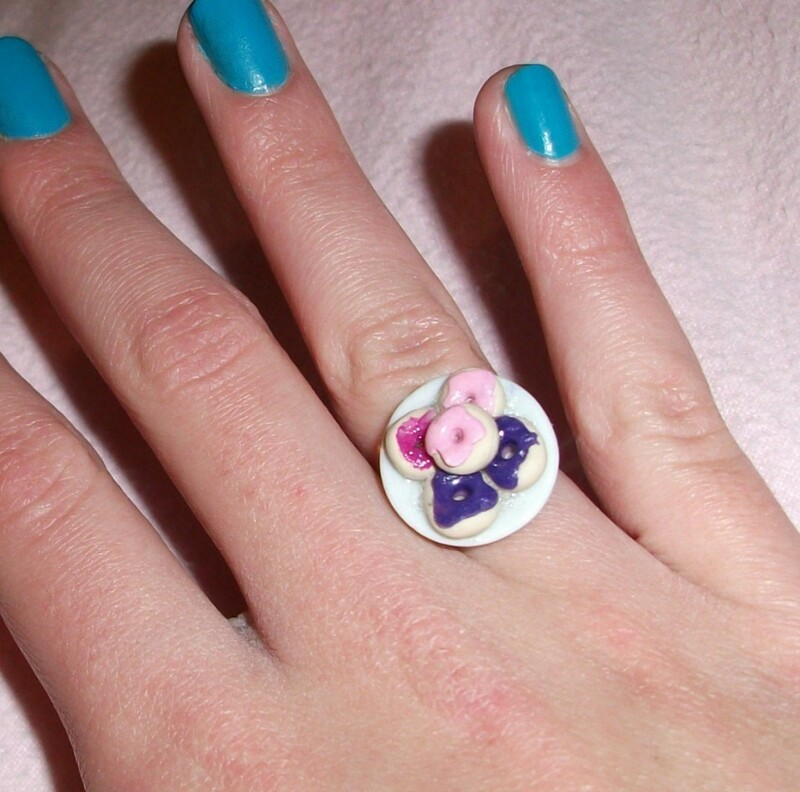 I have a ring with peanutbutterjelly, but this is also a really cute idea!